(Bloomberg) — Societe Miniere de Bisunzu Sarl, the Democratic Republic of Congo’s biggest coltan miner, resumed purchases of the ore after a three-month shutdown at one of the country’s largest deposits. Output restarted at SMB’s mining permit, comprising seven sites at Rubaya in east Congo, on Aug. 14 and the company began buying the minerals extracted by artisanal diggers on Tuesday, Freddy Nzonga, the company’s director of traceability, said by phone. Production was halted in May following allegations of smuggling and attacks by miners against SMB officials. “The diggers returned to the sites” last month, Nzonga said. Production is “still quite modest,” he said. Production is “still quite modest." 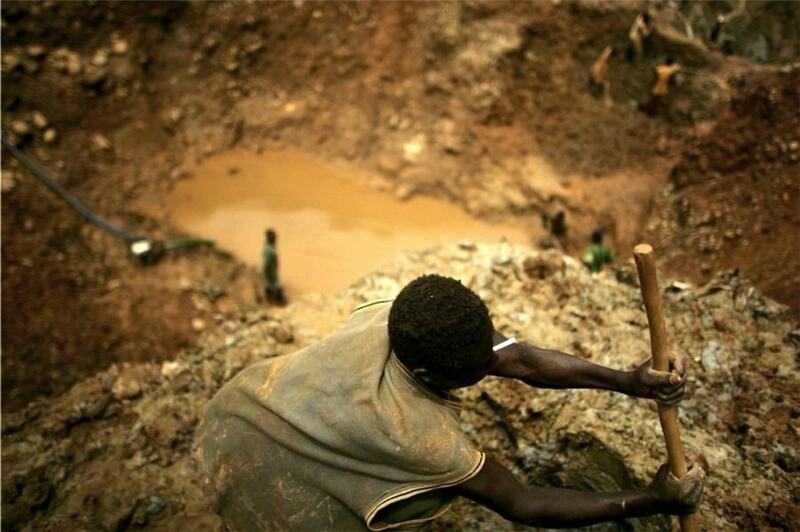 Congo produces more than a quarter of the world’s tantalum, the scarce mineral that’s extracted from coltan ore and used in Apple iPhones and other smartphones as well as armaments and aviation components. Last year, SMB purchased about 1,000 metric tons of coltan ore extracted from its permit area, according to the company. That’s about about half of Congo’s total production, Mines Ministry data show. SMB is controlled by the family of Edouard Mwangachuchu, a Congolese senator who has handed over day-to-day management to his brother, Ben. Its sites at Rubaya were declared “green” by Mines Minister Martin Kabwelulu in March 2012, among the first in the country to qualify as mines that don’t fund armed conflict in a region blighted by more than two decades of militia violence. Coltan produced there is tagged under a mineral-tracing system organized by the U.K.-based International Tin Association. Its sites at Rubaya were declared “green”. SMB’s license is for industrialized mining, but in order to end a lengthy dispute with the local population, the company in 2013 signed an accord with a cooperative known as Cooperamma permitting its members to dig the ore from SMB’s permit areas as long as they sold it exclusively to them. SMB halted activity at its Rubaya sites — one is mechanized, while the others are exploited manually by Cooperamma — because of what it said was a breakdown in its agreement with the miners. The 102-day suspension was the result of “recurrent participation by Cooperamma members in fraud” and the cooperative’s refusal to implement upgraded traceability mechanisms, according to a May 2 letter sent by the company to Anselme Kitakya, the provincial minister of mines. The letter also cited armed assaults by miners on local police, security guards and SMB directors as reasons for the halt. SMB ceased operations due to its “obligation to take conservatory measures to preserve its green sites” by strengthening security and improving traceability, according to the letter. SMB ceased operations due to its “obligation to take conservatory measures to preserve its green sites”. Kabwelulu revoked the sites’ status in June, after violent clashes between Cooperamma members and security forces in the wake of SMB’s suspension of production, and forbade any resumption of mining. Kitakya said Cooperamma doesn’t always deliver the ore to SMB, but he can’t measure how much is sold illegally elsewhere. The origin of the tension between the company and the cooperative is that the residents around Rubaya, who make up Cooperamma’s members, contest SMB’s ownership of the land being mined, he said in an interview on Aug. 13. “The accusations are baseless,” Cooperamma’s president, Robert Seninga, said by phone from Goma, the capital of North Kivu province where Rubaya is located. The cooperative “works in close collaboration” with the state and SMB to snuff out fraud, said Seninga, who is also a provincial legislator. The mines were revalidated as “green” on Aug. 2, after SMB and Cooperamma struck an updated agreement in June. The deal permits the cooperative’s members to continue digging for 15 months and reaffirms SMB’s monopoly on purchasing the ore, while committing both sides to tightening supply-chain traceability. North Kivu Governor Julien Paluku reopened the mine on Aug. 13.